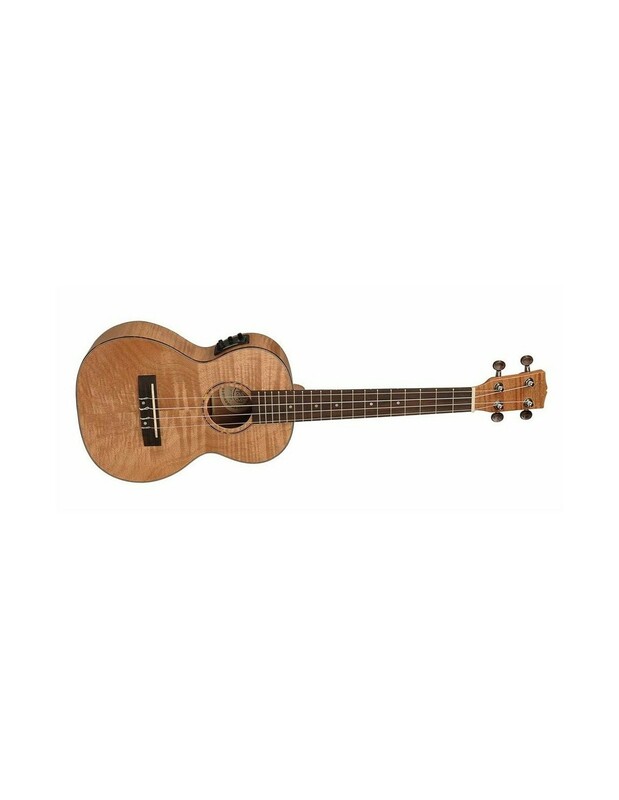 The UKT310-E tenor ukulele from Korala with built in pickup is a beautifully finished instrument at an incredible price. 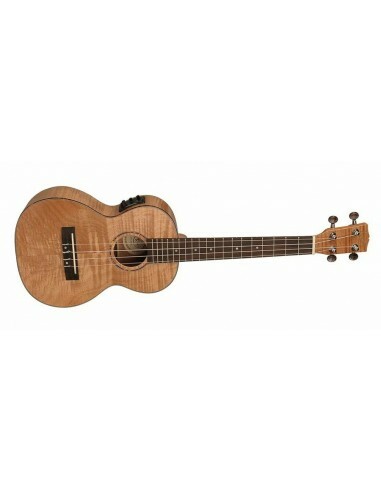 This flamed okoume top ukulele with geared machine heads offers incredible value for money, and is fitted with top quality electronics offered by Fishman. Okoume wood is a member of the mahogany family found in Africa. The wood is lighter in weight and this makes a big difference which you'll notice immediately upon picking up the UKS310-E. It offers a vibrant tone and a nice crisp brightness.